The long story of the “50k” is finally over. I filed the complaint with the FPPC back in December of 2016 after collating research data from my partners Greg Sousa and Amanda Biers-Melcher. The good news is, we did it! 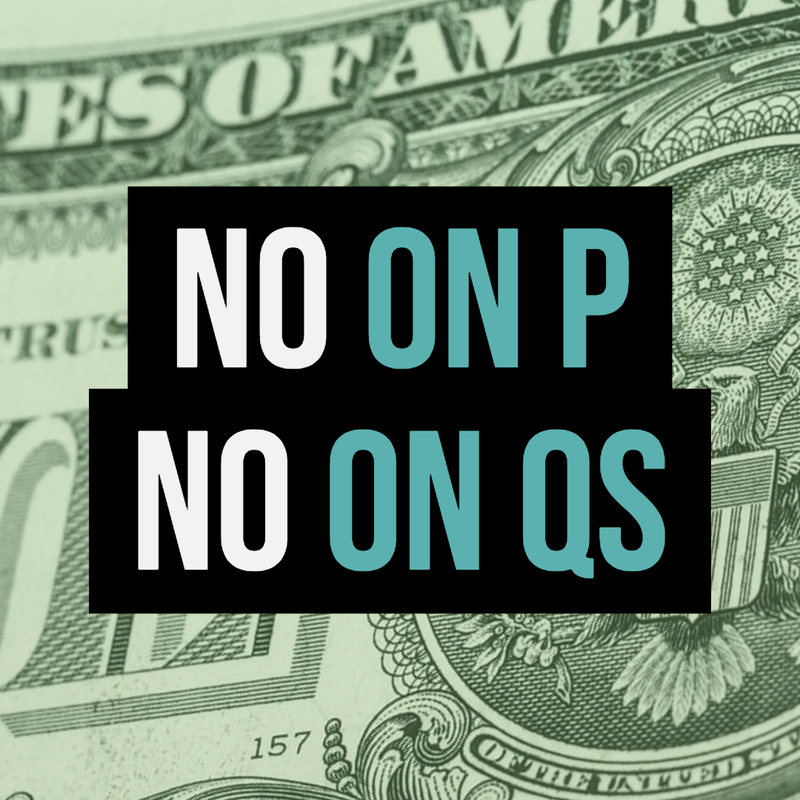 On Thursday, February 21st, the Fair Political Practice Commission approved a stipulation agreement against the Committee for Yes on Measure B in the amount of $11,500. In June of last year, the Commission also fined The Burbank Hospitality Association $5,000 for their role in “the 50k” story. Overall, the parties involved were fined a total of $16,500 for reporting violations of the Political Reform Act. You can watch my presentation here. 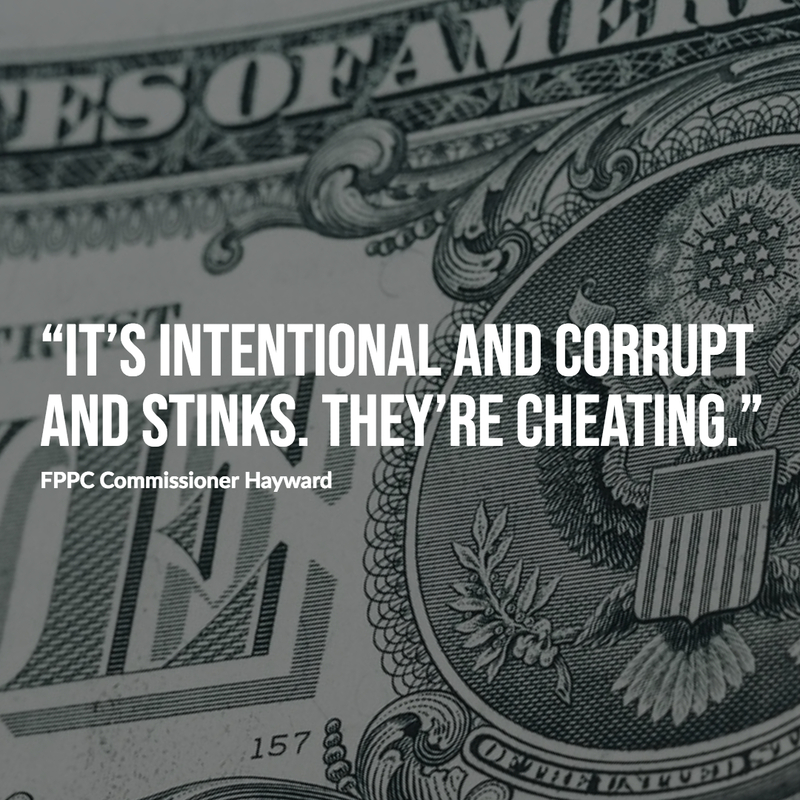 It’s important to understand just what the FPPC does. Among many other facets, the Commission enforces the reporting rules laid out in the Political Reform Act. In a nutshell, if you are running a political campaign you must report the money you have raised and spent in very specific ways. So this action taken on Thursday only had to do with reporting violations related to this case. Unfortunately, any criminal allegations are the purview of the District Attorney of Los Angeles and the California Attorney General. Sadly, although the LADA did rule that the BHA violated the Brown Act there was no recourse we could take. Also, the LADA decided there was no misuse of public fund in our complaints. That said, at the hearing some of the Commissioners went on record disagreeing with our District Attorney’s findings. Commissioner Hayward had strong words on the DA’s decision. Commissioners Hatch and Cardenas had encouraging words during and after the hearing as well. But because of the way this process works, there are limits to what the FPPC can do with this type of complaint. However, thanks to our case and many others over recent years things might change. A recent LA Times article explains this better than I can. In the coming days I am going to ask you to help make things better. All it will take are a couple of phone calls and letter to our elections in Sacramento. But for now, we did it! More to come soon! Thanks to Semichorus for helping with research on my statement tp the FPPC! Here’s a presentation I made to the City Council on Thursday. Read the entire text below. I attended the city council meeting on September 26th where the seeds of Measure V were sold to the public. In brief, Measure V asks voters to extend the terms of all current city council members by nearly two years. It changes our city charter and cancels three scheduled elections. The bill that started all this, SB-415 directs cities with low voter turnout to align their elections with the county and state. This all sounds great. Who doesn’t want more voter participation? I do! 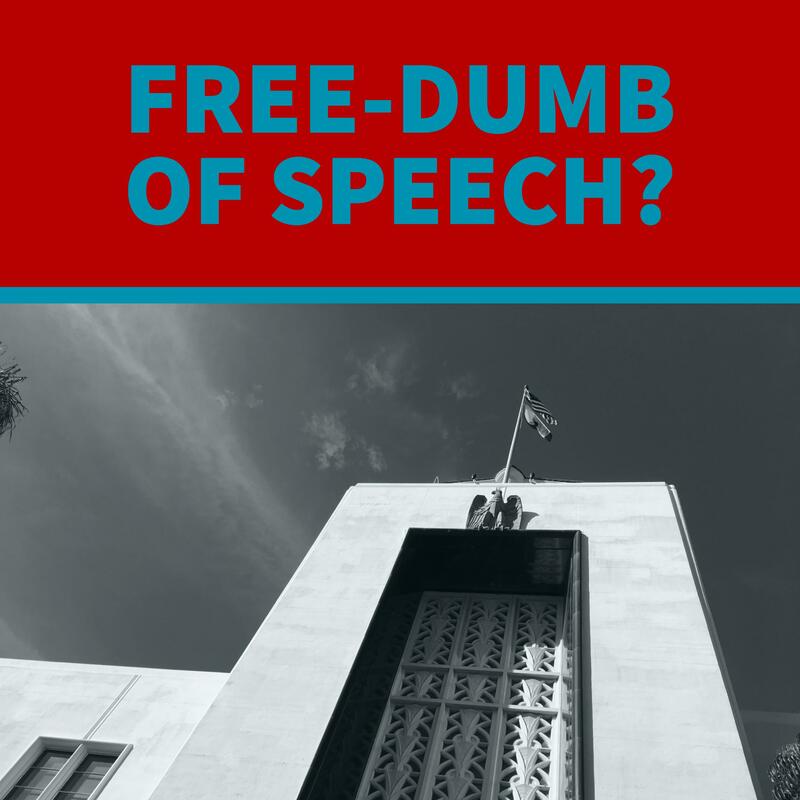 But what Measure V has been twisted to do — is take advantage of the public’s willingness to follow state law while at the same time — making the Council less accountable to the voters of Burbank. 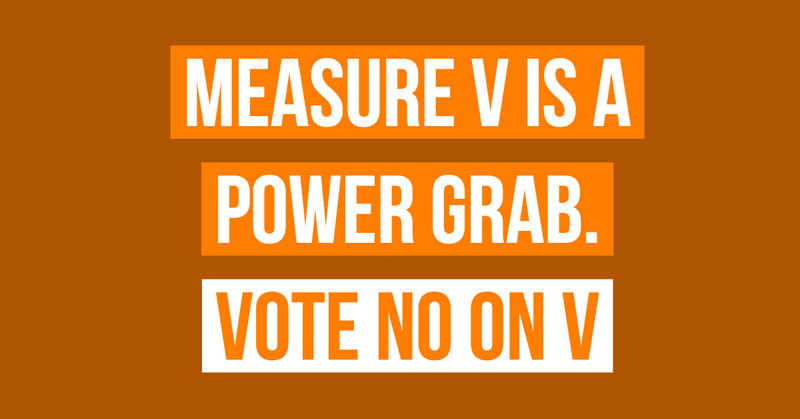 Measure V is a power grab. The proposed extension of your terms is unnecessary. The deadline to comply with SB-415 is November of 2022. You are asking voters to eliminate three elections before this deadline. Elections that would hold you accountable to voters. That’s the opposite of voter participation. Cancelling elections, expanding your power. Measure V is perfectly Orwellian. And I’ll remind the public that Council-member Murphy was not elected. He was appointed. No matter what a good guy he is, I am not comfortable extending his term without any accountability to Burbank voters. There were so many options you could have explored to comply with this new law. SB-415 allows us to have special elections anytime we want. You could have done the right thing — served out your current terms and faced voters in the elections scheduled before the deadline. Burbank residents make sacrifices of their own every day. 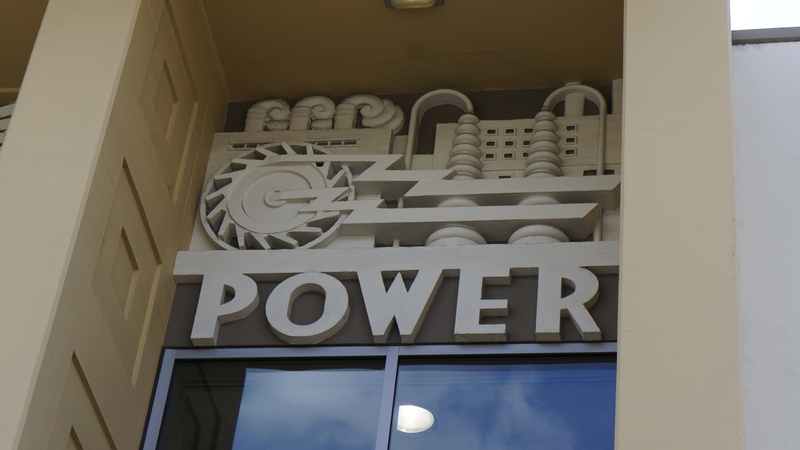 But you don’t want to sacrifice one ounce of power. You could have easily done the noble thing and proposed a one time contraction of the duration of council terms. If you had done that I would be in support of this measure. 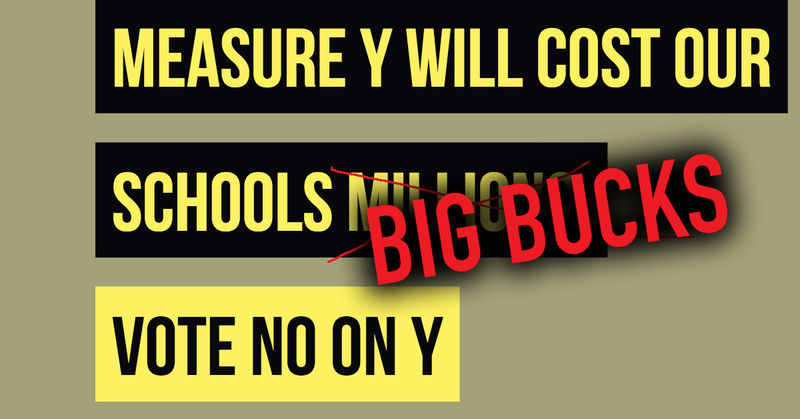 But Measure V is a power grab – plain and simple. We have plenty of time to comply with the Voter Participation Act. There are more elections before the deadline. Cancelling elections and extending your terms is completely unnecessary. 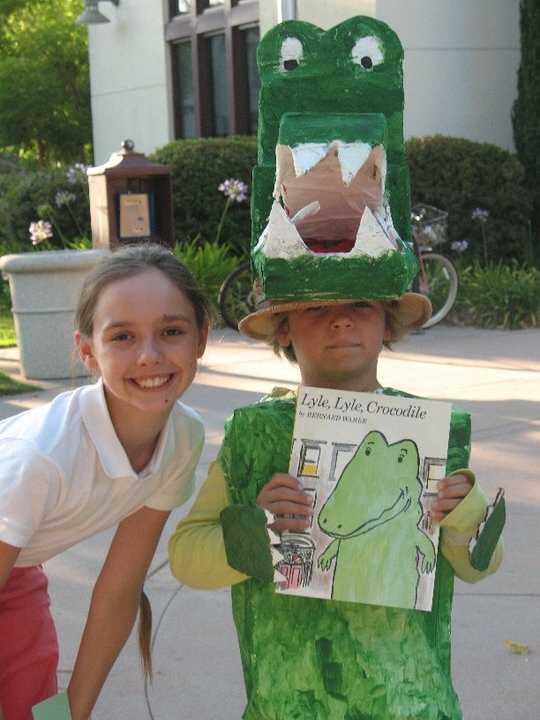 I’m urging voters to VOTE NO ON MEASURE V.
The author’s children compete in the Buena Vista Library summer reading program’s annual costume contest — July 2010. Twenty years ago, Burbank was just about the last place I thought I’d live. I was 29, with an unpublished novel under my belt, living in a 5-story walk-up in what was starting to be called the Upper Upper East Side, but was really Spanish Harlem, when my husband was offered a job on the writing staff of a new late night talk show — a job that came with union wages and, better yet, health insurance. When you compared it to selling monologue jokes to Letterman and earning $25 a night for MC-ing at Boston Comedy Club, it seemed like the opportunity of a lifetime (and I suppose it was). We jammed everything we owned into a Penske truck and headed to Hollywood. After a week of driving, listening to the audiotape of Jack Kerouac’s “On the Road” a friend had given us as a going-away present, and staying in motels so crappy I made sure to keep my shoes on in the bathroom, we wound up in a two-bedroom apartment off Ventura Blvd. in Studio City. After our New York apartment, it seemed ridiculously spacious and downright luxurious, despite the flimsy fixtures and predominance of beige industrial-grade carpet. We had an extra room — I could have my own office! — and it even had a hot tub and a pool. We decided we wouldn’t need a car. We could walk to work. And when it turned out the job wasn’t on the CBS Radford lot but in Television City, we bought an unpretentious Honda (because city people don’t care about what kind of car they drive) and agreed we’d only buy just this one car for commuting to work — because most of the time we’d just walk wherever we wanted to go. Two years later I was driving my own used Volvo station wagon. We’d had our first child — a daughter — and she’d started to walk. Overnight, our apartment had become a death trap. A balcony? A pool? Why not just hand the baby a razor blade and end the suspense. We needed a house — preferably one with a backyard. And, one sleep-deprived afternoon — after taking a wrong turn driving back to the apartment from the dirty Target in North Hollywood — I found just the one. It was nestled in a quiet tree-lined neighborhood that looked like something out of a 1960s sitcom. The houses were neat behind perfect squares of green lawn and there were actual children playing in the streets. Our house, a two-bedroom bungalow, had a palm tree in the backyard — a Queen Date Palm apparently — and even an orange tree. We were knocked out. Could you get more “California” than that? Our realtor had grown up around the block from the place and he knew everyone in town. He walked us through the process and before we knew it we were holding the keys to the house on Evergreen Street where we’d raise our family. This was before there was a Costco or an Empire Center or even a big multiplex in the middle of downtown. This was when you could still get from one end of Burbank to the other in less than a half hour. This was when people understood that the Airport Authority was not their friend. Our neighbors had young children too and they played together, running in and out of each other’s homes even crossing the street to play in each other’s yards (something that seems unthinkable to me now that speeders have discovered our street’s a convenient shortcut when traffic backs up on Burbank Blvd and Hollywood Way). One of our neighbors dressed as Santa at Christmas. On the Fourth of July we had a bike parade down our block with a real live marching band (because one of the dads played the trombone at Disneyland). We knew everyone on the block. Once, when a new family moved in, we held an ice cream social to welcome them and had the kids go door-to-door handing out the invitations they’d made. Another time we found a baby squirrel we named Sweet-Tart and all the neighbor kids delivered her, by wagon, to a squirrel rescue lady who lived a few blocks over. With my daughter, and later my son, I spent countless hours at the park down the street, and each week we loaded up the bike stroller and pedaled down the Chandler Bike path to the Buena Vista Library for story time. As they got older, they took craft classes and drama classes, gymnastics classes and team sports classes — all offered through Parks and Rec. They swam in the pools, learned to play tennis, learned to play golf, took riding lessons at the Equestrian Center and learned to skate at the Pickwick. They won bags of candy at the annual Glow-Ball tournament at the DeBell Par-3 and held a snake at the Stough Canyon Nature Center. At the week-long camps offered each summer, my son sampled volleyball, football, track, baseball and soccer before turning his attention to golf. They went all-out for the costume contest put on by the library’s summer reading program, where on the last day, you got cupcakes from Martinos if you read enough books. We were so lucky to land in Burbank. It was a great place to raise a family. And the thing is — I don’t think that was an accident. The people making decisions about Burbank at that time must have realized something I didn’t fully appreciate until recently. Burbank had something special to offer. It was an oasis away from the bustle of Los Angeles. It wasn’t hip like Silver Lake or the Hollywood Hills. It wasn’t fancy like Santa Monica. It wasn’t like Glendale. It wasn’t like anyplace else, really. Burbank was just a sleepy little town where you could come home from work and throw a ball with your son, or sit under the stars and watch your daughter pitch a softball game, or ride your bike to the donut shop on a Sunday morning. It was a place where you could take your kids to MacCambridge to play floor hockey and see seniors swing dancing and enjoying a hot lunch. It was a place where, when you called the fire department because you smelled something funny, they showed up in minutes — and were nice about it when it turned out to be your neighbor’s barbeque. I wasn’t paying attention — there were dinners to make and baths to give and bedtime stories to read — but it seems to me now that our elected officials, back then, must have known that Burbank was different. And at City Council meetings they must have been doing whatever they could to protect our city and fend off those forces that would try to turn it into something else. They fought hard to keep the airport from expanding, realizing that the additional revenue would come at too great a cost. They must have cared enough about young families like mine to stand up for us and make sure Burbank remained the kind of place where anyone would be lucky to raise a family. Now, when I see new families moving into my neighborhood, I wonder: will Burbank be that for them? Or will it become just another LA neighborhood surrounded by freeways and dotted by high-rises? Because that is essentially the question our city is facing right now. And, I know it’s complicated. The finances are different, the money just isn’t there anymore. I get that. But with all this talk of cutting services to balance the budget, of building our way into the black, and with a City Council that votes repeatedly and unanimously to sell our city off to outside developers piece-by-piece — can we expect to retain even a fraction of what makes Burbank Burbank? With that fancy new airport, more flights in and out of Burbank and hundreds of additional hotel rooms about to get green-lit — can we expect our city to remain a place where people live their lives — not a place they pass through on their way to Harry Potter’s Wizarding World? The problem, it seems to me, is that our elected officials seem to have a very different vision for our city than a lot of us who’ve raised families here. With each new massive development project they rally behind (and there have already been a few rubber-stamped with more in the pipeline), they boast about creating a new Burbank — a modern, 21st-century city designed for a new generation. For my daughter’s generation. Burbank, they tell us, has to change with the times. They are not entirely wrong. Change is inevitable and we can’t stay rooted in the past. Nobody understands that better than a mother with one child away at college and another retreating behind headphones and a closed bedroom door. But what we need, in my view, is sensible change. Change that recognizes the unique character of our city. Change that puts families first. As we talk about budget cuts and plans to make Burbank bigger and better, let’s not forget the little things that make our city what it is — a place where kids can play in the streets and the parks, where seniors can get the services they need to lead healthy active lives, and where families feel safe and protected. And let’s make sure we send a message to developers who come here to line their pockets: this is not your playground. This is not an “untapped market.” This is our home. And I know life is busy — especially for those young families who will be impacted most by what is lost. But now is the time to start paying attention — to start contacting your elected officials, to start going to City Council meetings, to make sure you vote — to remind your neighbors to vote — the next time we have a chance to weigh in on the leadership of our city. Maybe it’s not too late. Maybe our city can be saved. Maybe — just maybe — we don’t have to say goodbye to Burbank just yet. Drastic Changes to Public Comment at Council Mtgs? Tonight, waaaaay down on the agenda under item Q.8 (in what promises to be a very long meeting) are proposed changes to the way city council meetings are conducted. These changes include shortening the initial public comment period from 5 minutes to 3. However, the plan does include more opportunities for the public to address each agenda item. Sounds good right? But the devil is always in the details and here some interesting trade-offs we’re going to face. I have an email out to our City Attorney hoping for some clarification on something Semichorus has brought up. [UPDATE:] Speakers have more than one opportunity to address the Council per meeting. But for example, you’ll need to stay on topic or risk losing your time or being thrown out of the council chambers. No applause folks! For fear of what? Intimidation? And isn’t applause a form of speech? And a really interesting one here; if the City Manager and/or City Attorney answer a question then the council “should refrain.” Are they not allowed to have an opinion? What are they good for then? Be vigilant folks, this is a whole new age we’re entering.